The Avengers are a pretty dysfunctional bunch, but at least they aren't secretly a bunch of sadists. That's pretty much the point of Garth Ennis' incredible comic book series, The Boys, which has been adapted into a TV series by Seth Rogen and Evan Goldberg, who adapted Ennis' Preacher for AMC. Imagine if the world's greatest superheroes were not only super-famous, but total scum who hate the people they protect. 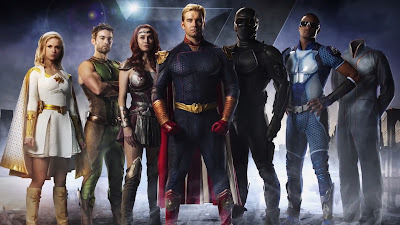 The Boys follows a team of vigilantes, led by Billy the Butcher, who make it their mission to embarrass and expose The Seven, the world's most famous superheroes, who are all abusing their powers in awful ways. The show stars Karl Urban, Erin Moriarty, Jennifer Esposito, Elisabeth Shue, Jack Quaid, Antony Starr, Jessie Usher, Chace Crawford, Laz Alonso, Karen Fukuhara, and Simon Pegg. On board as co-writer and showrunner is Eric Kripke, best known for creating Supernatural which I think has been on for about 1000 years. 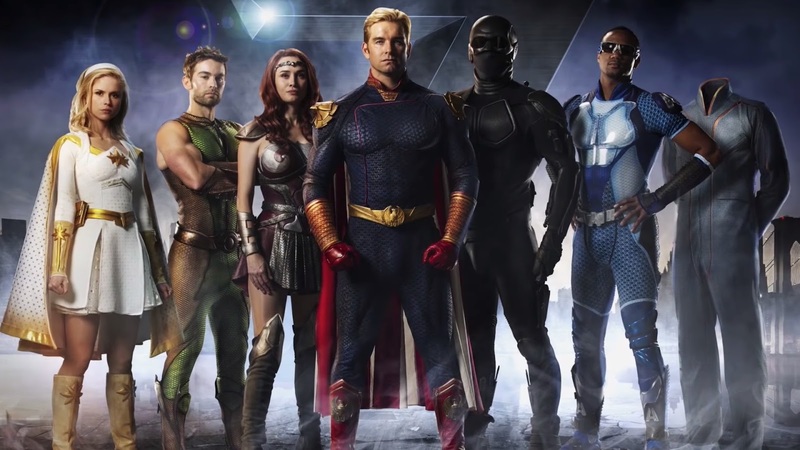 Here's the synopsis: In a world where superheroes embrace the darker side of their massive celebrity and fame, THE BOYS centers on a group of vigilantes known informally as “The Boys,” who set out to take down corrupt superheroes with no more than their blue-collar grit and a willingness to fight dirty. The series is a fun and irreverent take on what happens when superheroes – who are as popular as celebrities, as influential as politicians and as revered as Gods – abuse their superpowers rather than use them for good. It’s the powerless against the super powerful as The Boys embark on a heroic quest to expose the truth about “The Seven,” and Vought – the multi-billion dollar conglomerate that manages these superheroes. The Boys hits Amazon later this year.